Presented by Cllr. 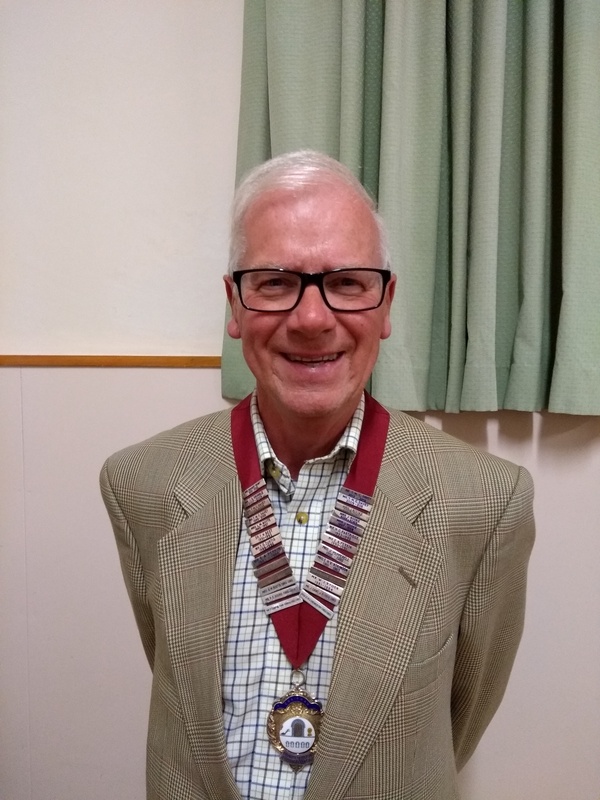 Henry Merritt at the 2019 Annual Electors Meeting held 13/03/19. This is my first Chairman’s Report, having been privileged and honoured to be elected as Chairman of the Parish. My main aims have been to ensure that we serve all areas of the village, provide the best services possible, within the many constraints we face, endeavour to progress several of the long held aspirations of the Parish Council and to significantly improve our communication processes. Key Issues during the year. Teignbridge Local Plan Update – Response to proposals from Teignbridge Council at the Annual General Meeting in May 2018. None of the above could be achieved without the dedication, commitment, help and support of the Vice-Chairman, other members of the Parish Council and the Clerk to the Council. I therefore wish to acknowledge, and convey my appreciation and thanks. I wish to take this opportunity to acknowledge and thank Charles Morgan for his service to the Parish Council, serving as a Parish Councillor since 2006, contributing significantly to village affairs, and also being chairman for two years. In addition the monthly full Parish Council and Planning Committee meetings, elected members serve on other committees – Finance & Personnel, Countryside & Recreation, Maintenance and Burial. In addition there are many other Groups where representation is required: Teign Estuary Trail, Teign Estuary Partnership, DCC Highways, Teignbridge Association of Local Councils and other groups required for specific projects. The responsibilities and work of Parish Council and its elected members continues to increase, however, this provides a significant opportunity to engage with parishioners and influence the services we provide. We have an excellent working relationship with our District Councillor – Tim Golder, County Councillor – Ron Peart and many other elected members council officers we communicate with. The support and assistance we receive cannot be underestimated and is very much appreciated. Most services are provided by various contractors, who again we are greatly appreciative of, often dealing with urgent work at very short notice. Volunteers from the village and surrounding areas also play a vital role to our community, which is always very much appreciated. We are also fortunate that members of the Parish Council regularly volunteer and assist with various activities throughout the village. I wish now to mention and commend the contribution to the Parish Council of Chris Grimshaw (Village Assets), Roger Gallagher (BERT), Peter Hepworth (Tree Warden) and youth organisations such as Scouts, who also undertake the annual Rights of Way survey. I must also pay tribute to the commitment of the many volunteers providing a great service to the village through all the excellent organisations and groups. For the Parish Council to function effectively the Clerk to the Council plays a really significant and pivotal role, carrying out many administrative duties, being the responsible finance officer, and also providing guidance on the operation of the Council’s democratic processes. The parish is increasingly indebted to the work of the clerk. I wish to thank the Clerk to the Council on behalf of all elected members. I would like to thank the Community Centre Management Committee for agreeing to the Parish Council request to move to more suitable accommodation to meet our current requirements. This is particularly relevant in the increasing use of modern technology to facilitate working more effectively, and in its communication processes. In conclusion, I hope you will find this report interesting and helpful in providing information on the range of matters dealt with, and how the Parish Council operates to provide the best possible service to parishioners, within the democratic framework applicable to Parish Councils.